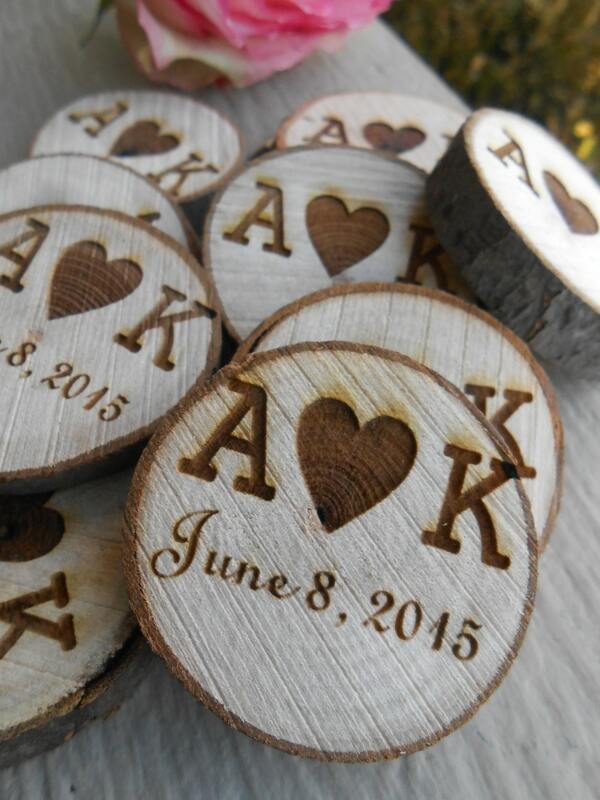 These small wood rounds are perfect for any wedding, shower, anniversary, or event! 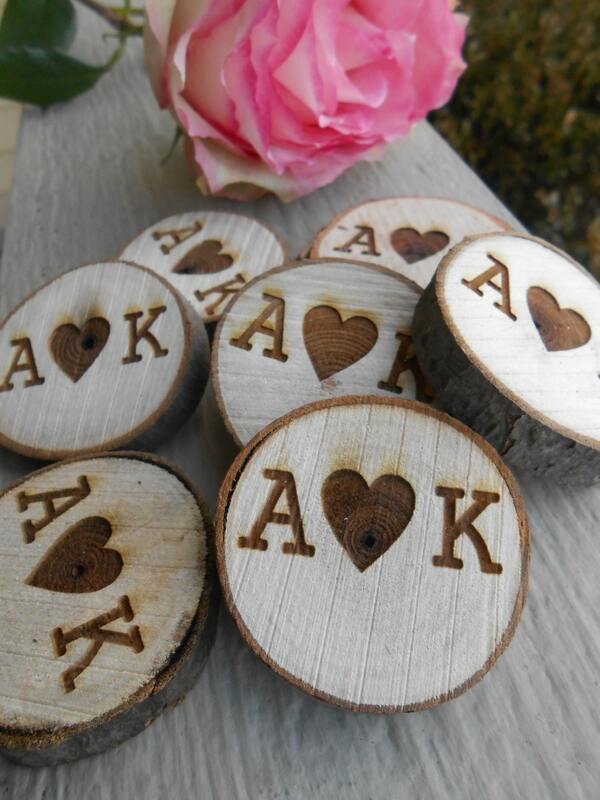 This listing is for 100 round pieces of wood, with YOUR INITIALS woodburned on them. They range in size from 1.75" to 2.75". 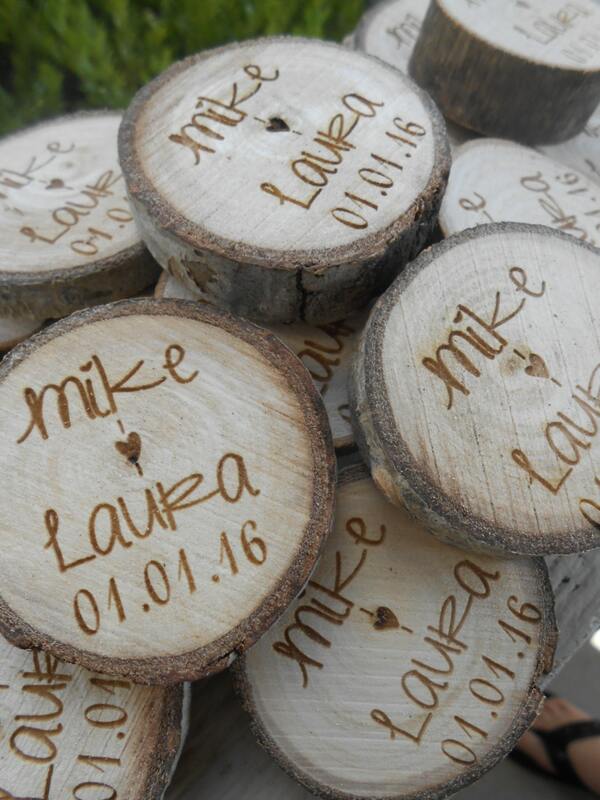 We try and leave the bark on them, and make them more "rustic". 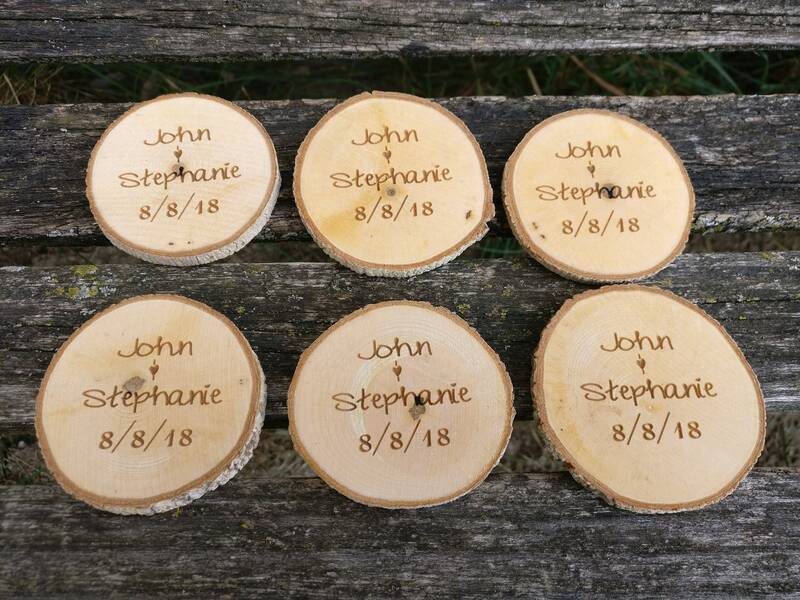 These are perfect for any vase size. 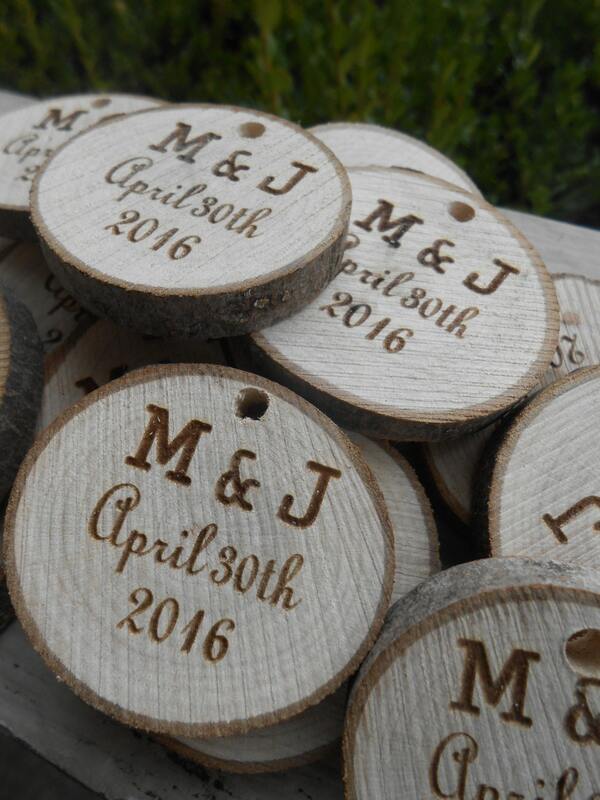 The wood varies from oak, to maple, to poplar, to birch, etc. It just depends on what falls from the trees! (We do not cut down live branches! 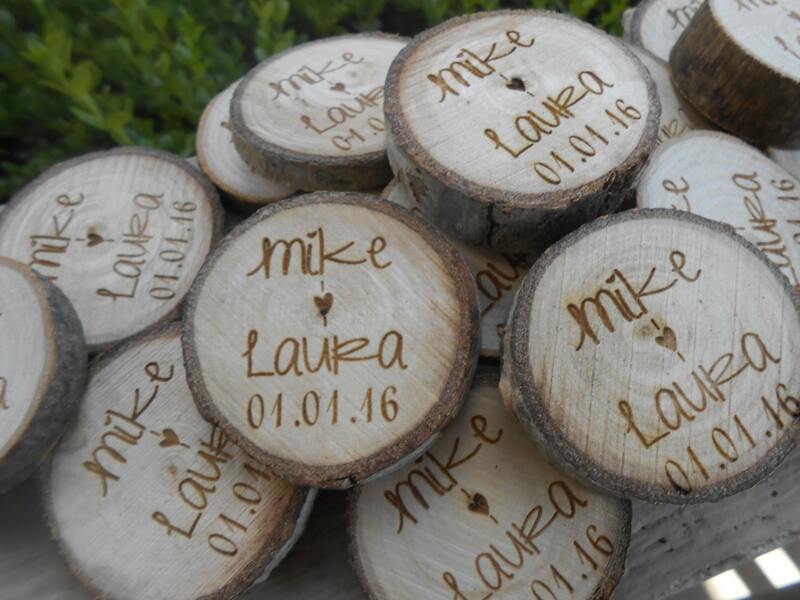 These are made from fallen branches and recycled into decor. 3. Leave a message with the date you want used. Or we can leave off the date.